Arizona Central Credit Union was founded in 1939 as the Arizona League Central Credit Union. The credit union was created to serve the employees, board members and officials of other credit unions doing business in Arizona. Regulations at the time, prohibited anyone from borrowing money from the credit union for which they worked. Accordingly, there was a need to establish a credit union they could join. In 1957, the name was changed to Arizona Central Credit Union. That change was aimed at removing confusion between the credit union and the Arizona Credit Union League. Arizona Credit Union League being a trade association for Arizona-based credit unions. Arizona Central Credit Union has operated under an Arizona state banking charter since its inception. However, as with many other state credit unions, Arizona Central has significantly changes its membership over time. Arizona Central has grown by merging with a many smaller credit unions. Over 50 other mergers have been done. In 1968, Arizona Central became the first credit union in Arizona to initiate a SEG program. SEG stands for Select Employee Groups. This program enabled small businesses to offer credit union membership to there employees. This eliminated the risk and expense of starting a company in-house credit union operation. Arizona Central has added nearly 2,000 employee groups over the last 40 years. Arizona Central Credit Union is a not-for-profit financial institution that is locally owned and operated by its members. ACCU has over 55,000 members and $400 million in assets. Arizona Central strives to serve its members and the members communities with high standards of service and respect. Arizona Central operates 10 full-service branches with offices in Phoenix, Tucson, Glendale, Chandler, Tempe, Flagstaff and Show Low. For more information on the Arizona Central Credit Union visit their website. 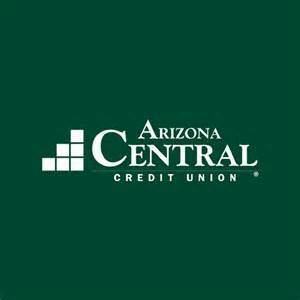 If you are interested in joining a credit union, Arizona Central Credit Union may be the one for you. There are seven other credit unions in the greater Tucson metro area. These include: Arizona State Credit Union, Hughes Federal Credit Union, Pima Federal Credit Union, Pyramid Credit Union, Tucson Federal Credit Union, Tucson Old Pueblo Credit Union and Vantage West Credit Union. Considering a move to Tucson AZ Or a future place to retire Or just thinking about escaping those long winters? We can help.